I love my wallpaper. It’s design is really beautiful and the pattern kind of fits my personality. People assume that wallpaper is difficult to care for, but how many times can a painted wall withstand the assault that only a toddler can inflict at meal time? Because most of today’s wallpapers are coated with vinyl and are washable they wipe clean very easily. It’s usually a major job to clean wallpaper. Don’t risk ruining your beautiful wall. I’ve got some useful cleaning tips below to help you remove dirt and grime and restore your wallpaper back to it’s original beauty without damaging it in the process. 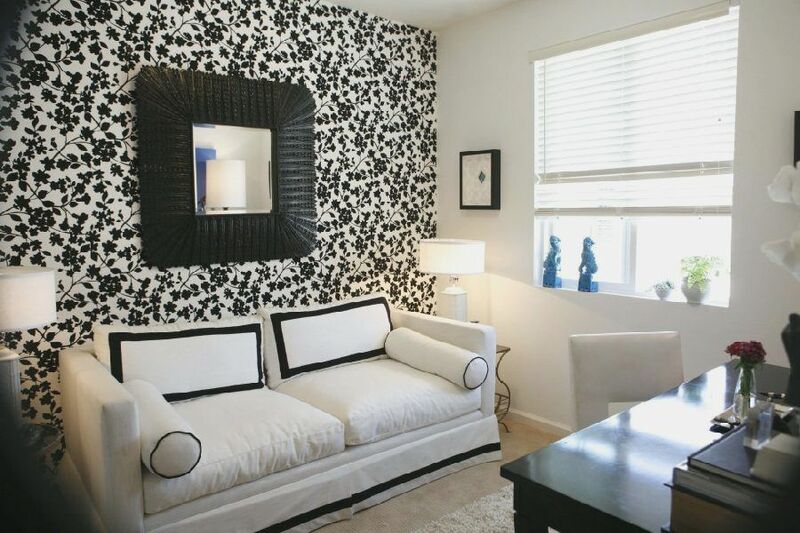 Wallpaper comes fabrics, acrylic & vinyl, colors, and patterns that are called a Duplex. “Duplex” (meaning “two”) actually refers to materials used in the manufacture such as a vinyl coating, or fabric, over paper backing. The vinyl or fabric is actually bonded to paper by using a heat treatment method or with a contact agent. The appropriate cleaning method depends completely on the type of material the wallpaper is made of. Always check with the manufacturer first for instructions on the proper care of wallpaper. Vinyl coated wallpaper (vinyl bonded to wallpaper) has an acrylic or vinyl coating over the surface. Vinyl coated wallpaper is fairly resistant to grease and water stains and is more easily cleaned. Vinyl can be lightly scrubbed but never use an abrasive cleanser, rough surfaced sponge, or pumice on it. While suitable for most any area, vinyl coated wallpaper is commonly used in children’s areas, the kitchen, bathrooms or the laundry room. This duplex wallpaper is fabric bonded to paper and is very popular with interior designers. It may also have a vinyl or acrylic coated surface and is often expensive but more prone to moisture and staining. Coated fabric wallpaper is quite durable but should not be used in the bathroom, kitchen, or areas when children are likely to be at work with markers. Solid vinyl wallpaper is just what the name implies. It’s really great for playrooms, pet areas, laundry rooms and mudrooms but can be used anywhere because it resists water, grease and other stains. Solid vinyl wallpaper can be washed and scrubbed, just avoid an abrasive cleaner that might wear holes or cause tearing. Plain wallpaper can be the most beautiful with subtly embossed modern or Victorian designs and a full palette of colors. Paper wallpaper is also the most delicate. Some paper wallpapers come with a light protective covering, but check with the manufacturer to be sure. As we all know, paper is damaged by moisture. Paper wallpaper will develop a true water stain and can be destroyed by the artistic child. Waterproof and stain-resistant wallpaper, such as vinyl or acrylics, can be washed with warm water, a mild soap, and wiping with a cotton cloth or a soft sponge. Never use abrasive materials on any wallpaper. Dusting is easy. Beginning at the top, use an extended duster (a Swiffer® duster is great for this) or an electrostatic dry dust cloth, and wipe down, left to right. Then spot clean by wiping off fingerprints and smudges around light switches with a damp cloth. Splash marks can be avoided while you’re washing baseboards or woodwork by masking wallpaper with a wide ruler, a Venetian blind-slat or a piece of rigid plastic. Avoid masking tape with sticky backing as that can damage your wallpaper. Washable wallpaper is either coated or is printed with water resistant inks. The wallpaper surface can be wiped down easily and is commonly used in kitchens and bathrooms. Always start from the bottom of the wall and work up to avoid drips and streaks on the wallpaper below. Finish one section at a time, cleaning and drying each area completely before moving to the next section. Many home improvement stores carry wallpaper cleaners. (Absorene® is one brand that I’ve heard of. It claims to be the original “dry cleaner”). Washable wallpaper can be washed infrequently with a cleaning solution of warm water and soap, another bucket of clean water to rinse, a soft cellulose sponge and clean towels to pat dry. Stains, dirt and debris that will not come off with regular cleaning can be removed using a dry cleaning sponge or eraser. The sponge removes dirt, dust, soot and other grime by absorbing it. Make sure to test it in an inconspicuous place first. DONT USE TSP to remove wallpaper stains! Believe it or not, I’ve seen other sites instruct others to use TSP (trisodium phosphate) to remove wallpaper stains. TSP is used to remove wallpaper (and the adhesive) from the wall. TSP is extremely alkaline and is not appropriate to remove stains unless you want to remove the wallpaper along with it! 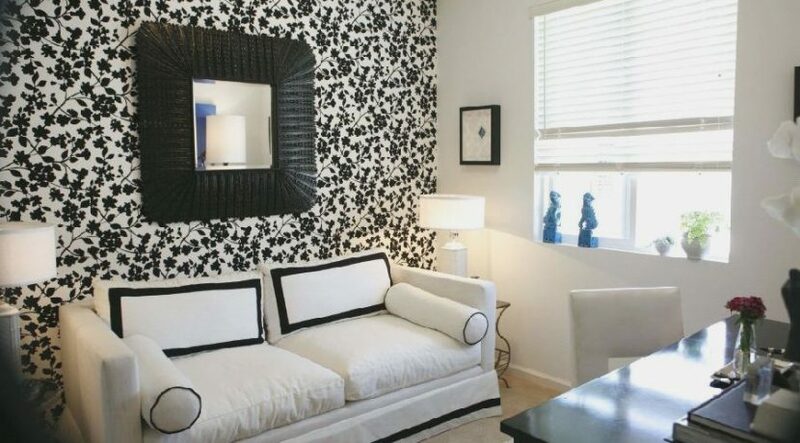 With these helpful tips your wall covering can look new and be dust and grime free. Now you will be able to sit and enjoy a cup of coffee without staring at the black fingerprints around your light switches….